The team at DiscoverVin™ are delighted to present our diverse range of wines from Bordeaux, Champagne, Rhone, Provence and the South West of France. We are Australia's premier source of well made and value for money wines from these regions. We want to share with you our passion for the good value wines of these regions. We have done the hard work to select the best value wines from the best producers. French wines that we know Australian wine drinkers will love! 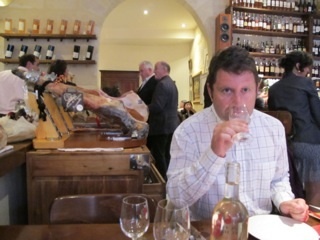 Come join us in sharing our passion for the wine and food of France. As well as selling wine on this site DiscoverVin also supplies wines to trade customers. Separate trade lists and pricing are available on application. Please see our trade page for further information. The team at DiscoverVin™is passionate about wine and passionate about France. This Magnifent Life wrote about our passion for wines in December 2016. Read more here. After an extended sabbatical in Bordeaux, Craig and Helen Underhill returned to Australia convinced Australians were missing out on some wonderful good value wines. 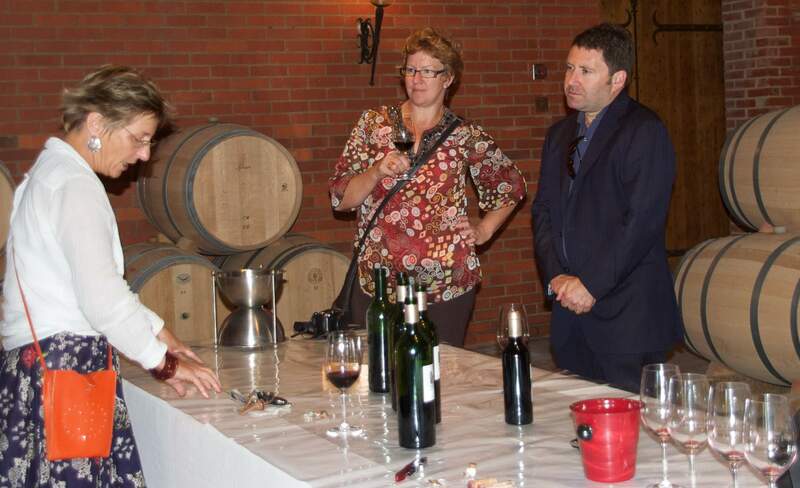 With Mary Harrington they formed DiscoverVin™ in order to share some of their wine discoveries with Australian consumers. The combined team represents many years of experience and qualifications in wine and food, winemaking, wine marketing and business administration. They are members of Wine Communicators Australia, FACCI (French Australian Chamber of Commerce and Industry) and Sommeliers Australia. 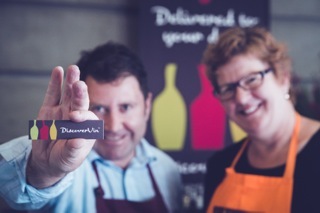 Since 2011 DiscoverVin has been supplying wines to consumers and trade customers and built a loyal following. The team was thrilled to be nominated in the NSW FACCI business awards in 2013. Above all DiscoverVin™ offers good value wines, regardless of the specific appellation or place from where the wine comes from. At DiscoverVin™ we want you to feel confident to order any of our wines, knowing that we have sorted through the maze of the classification systems, good and "best ever" vintages to find the best value wines. DiscoverVin™ focuses on wines that offer authentic French flavour and impressive quality, together with value for money. We have ignored the hype accompanying many classified Bordeaux wines to seek out exciting well-made and good quality wines from this historic and premium region. We have sought some of the best and most typical wines from areas known predominately to French connoisseurs such as Jurançon, Madiran and Cahors. DiscoverVin™ presents a range of award winning wines from Bordeaux, Champagne, Provence, Rhone and the South West of France. Our wines speak of 'terroir', or in other words, the general characteristics that a place imparts on the wine. Some of these wines introduce varieties, largely unknown to Australians, such as Petit Manseng, Gros Manseng, Malbec and Tannat. But they also showcase the blending of the premium varieties of Cabernet Sauvignon, Cabernet Franc and Merlot. Our wines are not available through other suppliers in Australia. We take care with the quality of our supply chain. We use professional and attentive partners. Our producers label and pack the bottles with care. Our shipping agents ensure the wines are transported at controlled temperatures. The wines are stored within a temperature-controlled warehouse in a specialised facility prior to distribution by experienced couriers. Many of our wines are from independent producers. Several have converted or are converting to organic and/or biodynamic practices. This hard work has not gone unnoticed and DiscoverVin wines have received some wonderful reviews in the Australian media. All reviews related to their current portfolio are available on the media reviews page of this website.